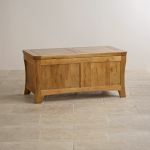 The Orrick Rustic Solid Oak Blanket Box exudes charm and style with its eye-catching chamfered legs and panelled top. 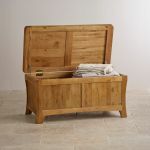 Expertly made from high quality solid oak timbers, it features a hinged lid with masses of storage space for shoes, blankets or bedding. 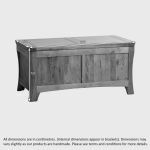 Ideal at the end of the bed or in the living room to store children's toys, this exclusive unit forms part of a larger matching range. 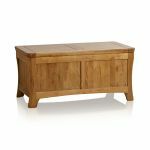 This means you can effortlessly transform your home whilst maintaining a continuity of style throughout every room. 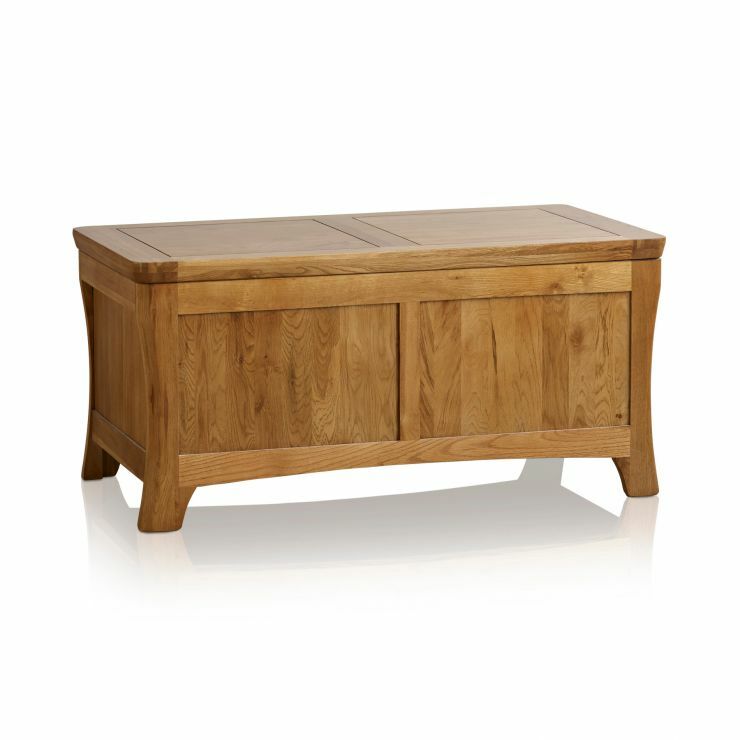 Take a look at the rest of the Orrick range for more items of quality oak furniture. 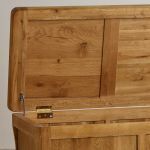 We never skimp on materials at Oak Furniture Land which means no veneer, no chipboard and no MDF - just quality solid hardwood.